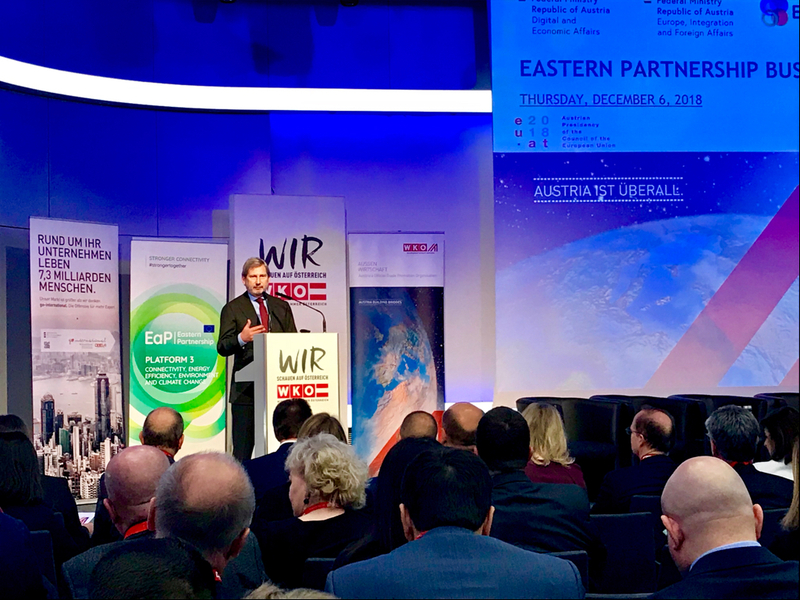 On 6 December , the Austrian Presidency of the Council of the European Union, together with the European Commission, is hosting the 5th Eastern Partnership Business Forum in Vienna. This will be followed by the Eastern Partnership’s Annual Conference on 7 December. The two events will bring together high-level representatives from the EU and its six Eastern Partners – Armenia, Azerbaijan, Belarus, Georgia, the Republic of Moldova and Ukraine – to help promote socio-economic development across the region. The events will serve as a platform to discuss how to further promote stronger economies and societies, in order to help increase prosperity and living standards of citizens and thereby lead to greater stability in the Eastern Neighbourhood region. The two events will take place in advance of next year’s 10th anniversary of the Eastern Partnership and will gather almost 500 participants, including government stakeholders, representatives of EU institutions and international financial institutions, Members of the European Parliament, as well as non-governmental representatives from think tanks, civil society, businesses, youth and academia.